Maybe Warren Buffett, the second richest man on the planet, doesn’t care how much he pays in taxes. For the rest of us, what our investments earn after taxes is much more important than what they earn before taxes. Federal and state income taxes, capital gains taxes, and alternative minimum taxes can reduce your investment earnings by up to 50%. It doesn’t take much to substantially reduce your nest egg. If you earned an average of 8% and were taxed at 28%, your after-tax rate of return is 5.76%. A $50,000 investment earning 5.76% grows to $87,536 in 10 years. If that same $50,000 investment isn’t subject to taxes, it grows to $107,946. The higher tax bracket you are in, the more important it is for you to seek out ways to lower your tax bill. One of the best tax maneuvers is to invest your money where it will grow tax-free, meaning you will never pay any taxes on the income or accumulation. One way to do this is via a Roth IRA or a Roth 401k plan. All earnings compound tax-free and are not subject to tax or penalties when you take them out of the Roth after age 59½. The downside is that your contribution is not deductible from current earnings. Another tax-free investment is interest from municipal bonds. The higher income bracket a person is in, the more an investment in municipal bonds makes sense. For someone in the 33% tax bracket, a 5% interest rate on a municipal bond is equivalent to a 7.46% rate on a taxable bond. But for someone in the 15% tax bracket, it’s only equivalent to a taxable rate of 5.88%. Don’t make the mistake of investing in municipal bonds only because they have tax free income. Be sure the investment makes sense for you. After tax-free investing comes tax-deferred investing. This includes traditional retirement vehicles like IRA’s, 401k’s, 403b’s, pension plans, and annuities. Contributions to these plans are pre-tax, while contributions to annuities are after-tax. The earnings are not taxed until taken out, usually after retirement when you may be in a lower tax bracket. 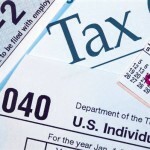 If you anticipate your overall tax rate (the average percentage of income taxes you pay for the year) in retirement to be over 15%, you’ll want to evaluate whether investments that earn most of their returns in the form of long-term capital gains might be better held outside of a tax-deferred account. That’s because withdrawals from tax-deferred accounts generally are taxed at your ordinary income tax rate, which may be higher than your capitals gains tax rate (currently 15%). Look for advice from investment advisors who manage investments in ways that can help reduce the taxable distributions. Investment managers can employ a combination of tactics, such as investing in stocks that don’t pay dividends, counterbalancing the sale of stocks with gains against those with losses, tax harvesting, and minimizing portfolio turnover. 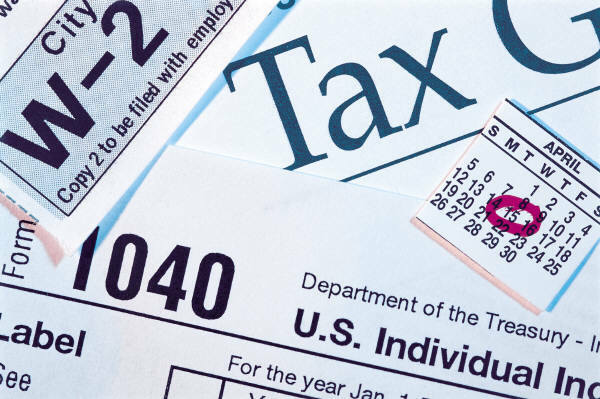 As important as minimizing tax is, be careful not to let the tax tail wag the dog. A poor investment doesn’t become a good one just because it’s tax-free. Finally, keep good records of purchases, sales, and distributions so you can accurately calculate the tax basis of your investments. Not keeping good records could mean paying more tax than you should when you eventually sell. While you can’t control the direction of the economy and markets, you can have a lot of control over where you invest your retirement funds, the taxes you will pay, and the costs. The tax consequences of investment choices matter to the rich. They matter even more to small investors. Under the FairTax, neither earned income or investment income would be taxed. There would be no need to play the tax avoidance game with investments. Investments could be bough, sold or held based on their economic merit, not obscure tax laws. The 72,000 pages of tax code that create the maze of rules governing traditional IRA’s, Roth IRA’s, 401(k)’s, 403(b)’s, 457 plans, SEP’s, SIMPLE’s, etc. would all go away – along with the IRS. Learn about it at FairTax.org.